Many adults are interested in beginning Irish dance but they think they are too old or not coordinated enough. I began Irish Dance in my 40’s and my son began in his early 20’s. We have found this type of dance to be extremely athletic in nature: it truly is a great form of exercise! As time went on we realized that we could be competitive and I became a Champion dancer while Dan went on to become a National Champion, qualifying seven times for the world championships. He competed at two World Championships in Ireland, one in Dublin and the other in Belfast. We also opened our own Irish Dance school. Many of the adult dancers I have taught have become performers and competitors. They love the exercise value and how much more flexible they have become. Irish dancing helps build bone density, improves balance, and strengthens the core and legs. In addition to dance instruction, each of our classes includes stretching and exercises to help with strengthening muscles, and we incorporate elements from Yoga for balance and free movement. So once you get past the holidays and decide you want to do something fun while losing a few pounds, get in touch with us. 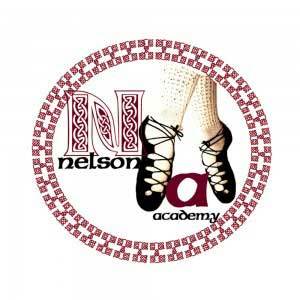 In 2002, Kathy Nelson began Irish Dance class es in Yorktown, Virginia eventually qualifying for the Champion level and participating in many local performances until 2005. Since 2005, Kathy has been actively teaching competitive Irish Dance in Yorktown and Williamsburg, Virginia. She choreographs dancers steps and routines for performances in the Virginia area. Her pageant choreographies have all won 1st place. Kathy also teaches Total Body Fitness and Strength Training for Irish Dancers. She is a former Homeschool Mom who taught both sons from K5-12th grade. She loves homeschool and Adult students and has classes especially for them! She is a certified Irish Dance instructor TCRG with the World Irish Dance Association and has adjudicated at competitions! Our class curriculum is a lot of fun for everyone! We incorporate a combination of traditional teaching, fun dancing, competitive teaching, performance/show practices in each of our classes for each age and level.